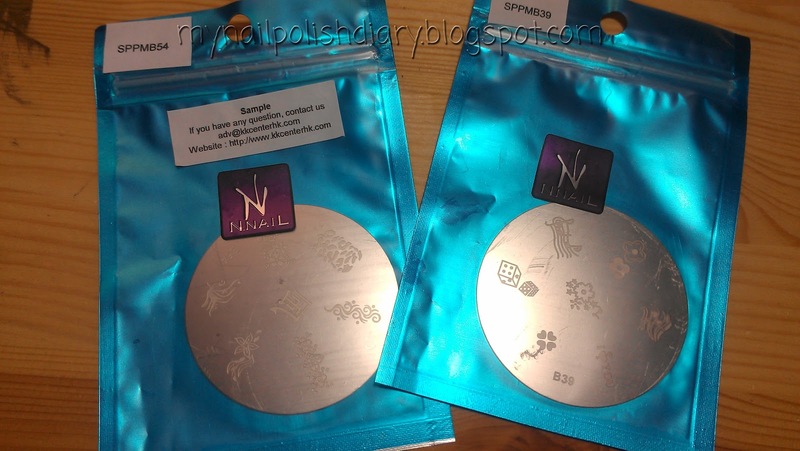 My Nail Polish Diary: Stamping!!! I hadn't planned to do any reviews on my blog. Only pictures of my NOTD. But recently KKCenterHK contacted me and asked if I'd be willing to review some of their products. I decided to give it a try. They offered me several options. I chose stamping. I really love stamping. My first choice was SPPMB54 and SPPMB39. The included a stamp and scraper as well! The plates are covered with plastic like you'd expect. You'll want to peel that off before you stamp. Be careful, the edges are sharp! 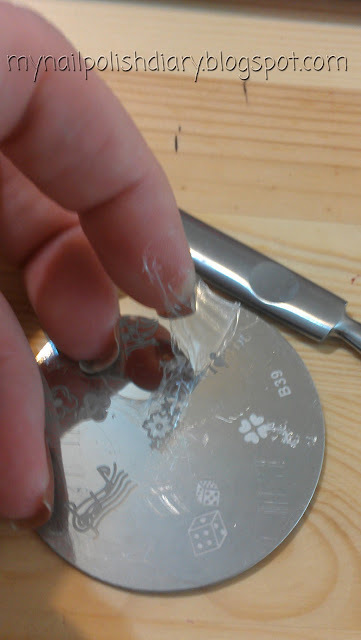 Scrape it a little at the edge with your cuticle pusher or something that will cut the plastic, then just pull it off. My first mani I'd like to show you is Color Club Wing Fling with and accent nail of Color Club Sparkle and Soar on my ring finger. Both from the spring 2012 Take Wing Collection. I stamped my ring finger and thumb with B54 and Konad Stamping Polish White. I found the plate to be just the right depth for the polish to fill in and the stamper worked pretty good too! I used the scraper for this review and found it to work fine. To be honest though I will use my expired credit card in the future just because I like that method best. The scraper did not scratch the plate at all. But I'm always afraid they will, so I just don't use them. 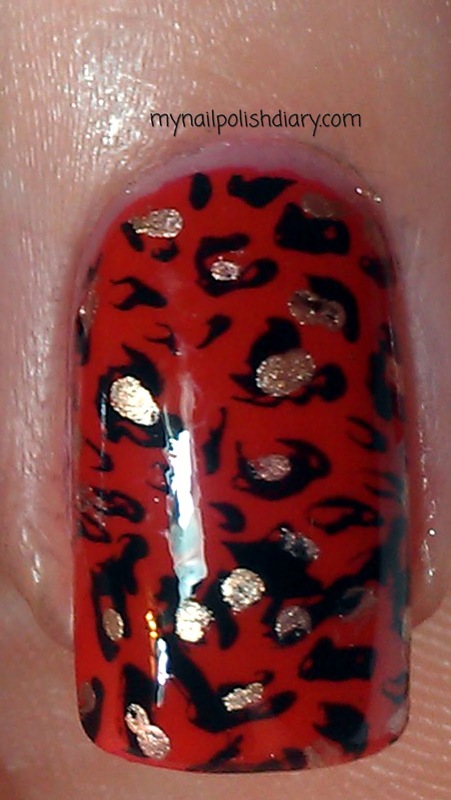 I filled in some of the leopard spots with China Glaze 2030 from the 2009 Khrome Collection to spice it up a little. This stamp was just as easily stamped as the flowers from B39 and stamped beautifully. Since my nails are longer I did have to stamp twice to cover the nail. It was easy though since the leopard print is kind of random. I didn't feel like it was noticeable at all. All in all I think KKCenterHK is a great place to shop online for your nail polish needs (and more!). Stamping plates and tools were supplied for review.